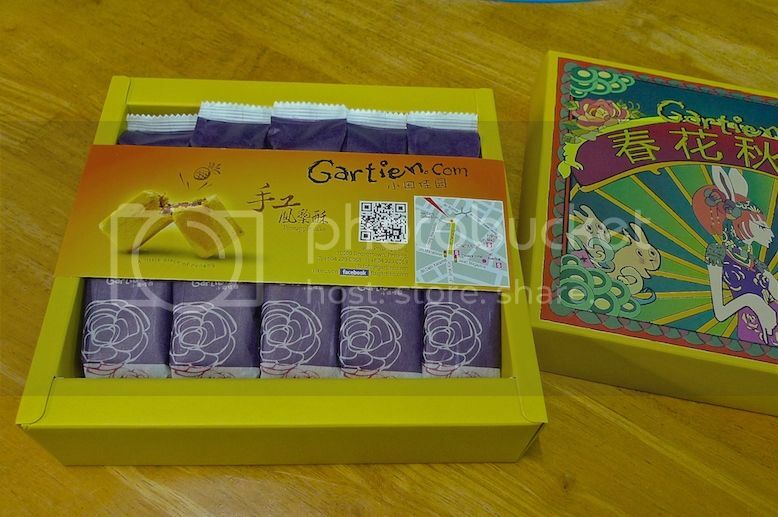 The Mid Autumn Festival is coming soon and it's time for .... Gartien pineapple cakes! 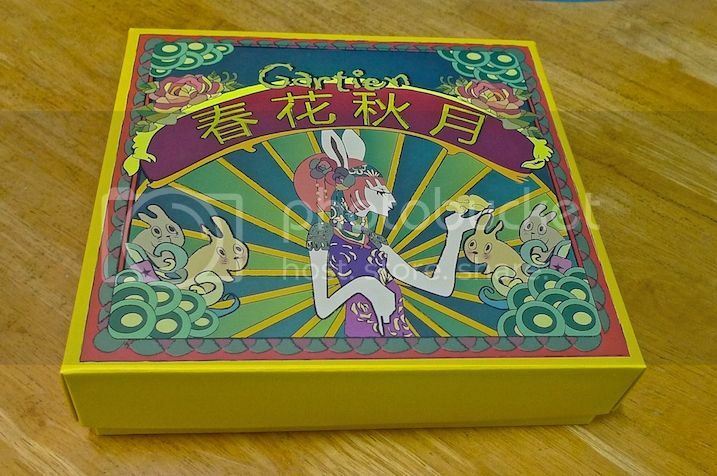 Yes, I know most of you associate pineapple cakes with Chinese New Year and moon cakes with the Mid Autumn Festival, but maybe you want to try something different this year? 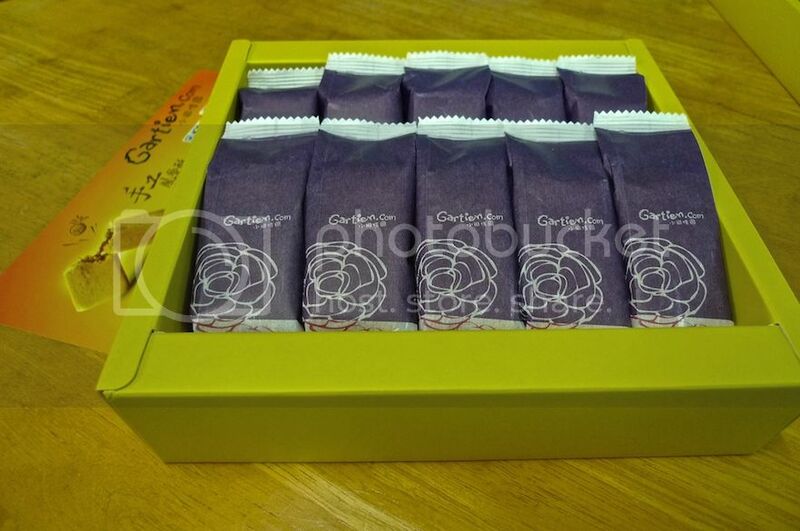 Opening the box revealed 10 pieces of pineapple cakes individually wrapped in Japanese washi paper for freshness. 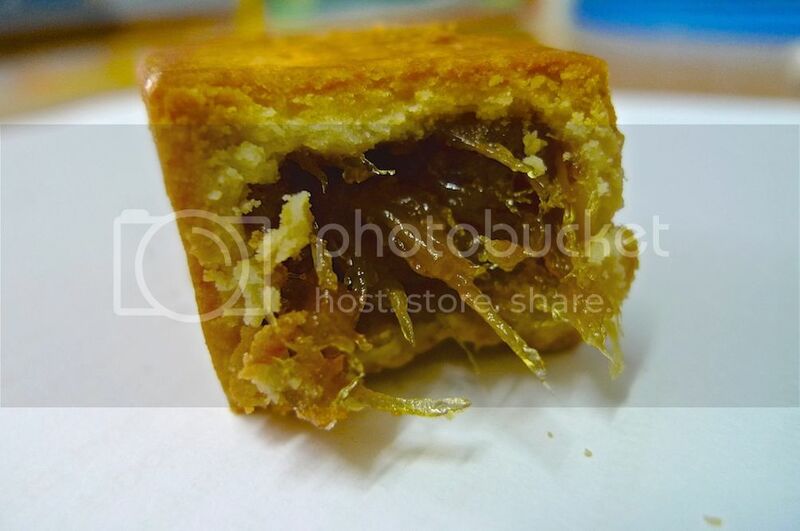 I have blogged about the Gartien pineapple cakes before in the style of an Agatha Christie poem which I called "Ten Little Gartien Pineapple Cakes". LOL! Read it HERE. 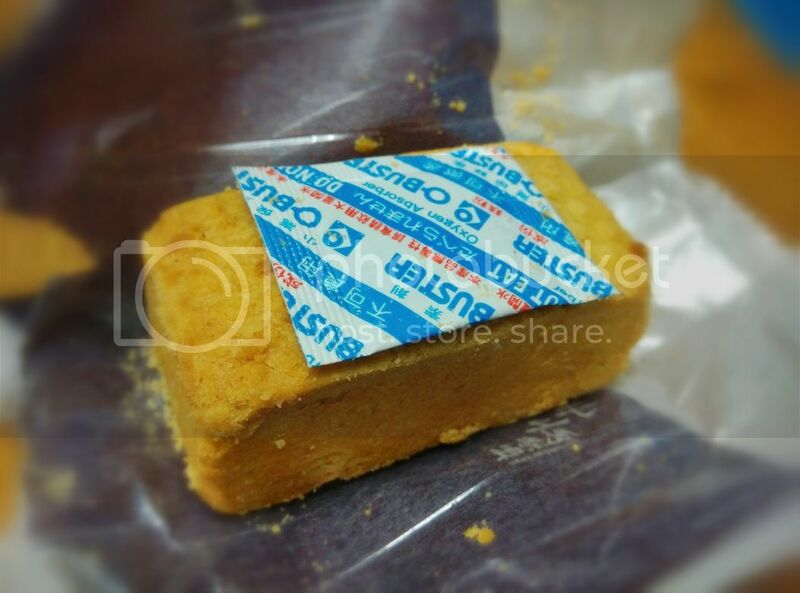 Being a fan of pineapple cakes especially those from Taiwan, I did not hesitate to open up one to try. 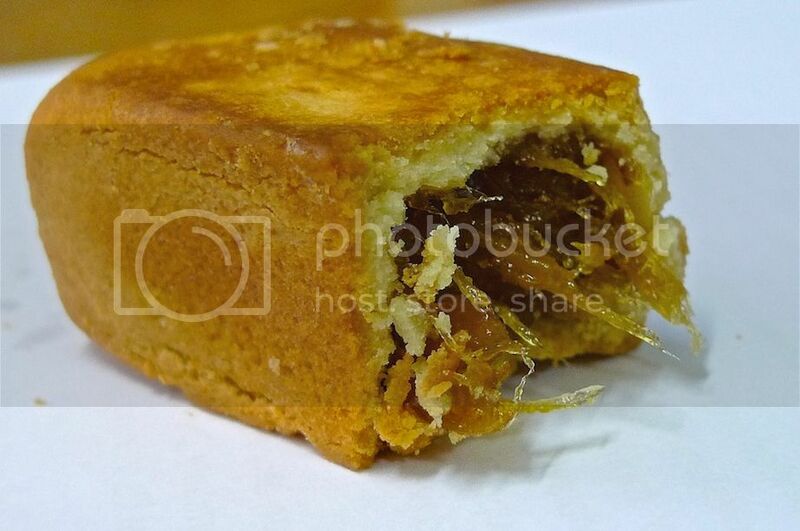 This is how the pineapple cake looks like. 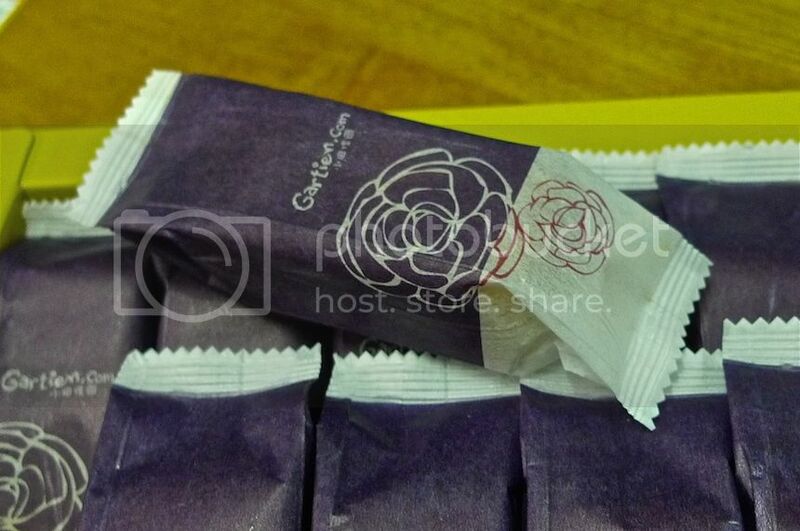 There is an oxygen absorber to help preserve the freshness. I have to say that the Gartien pineapple cake was really pretty good! 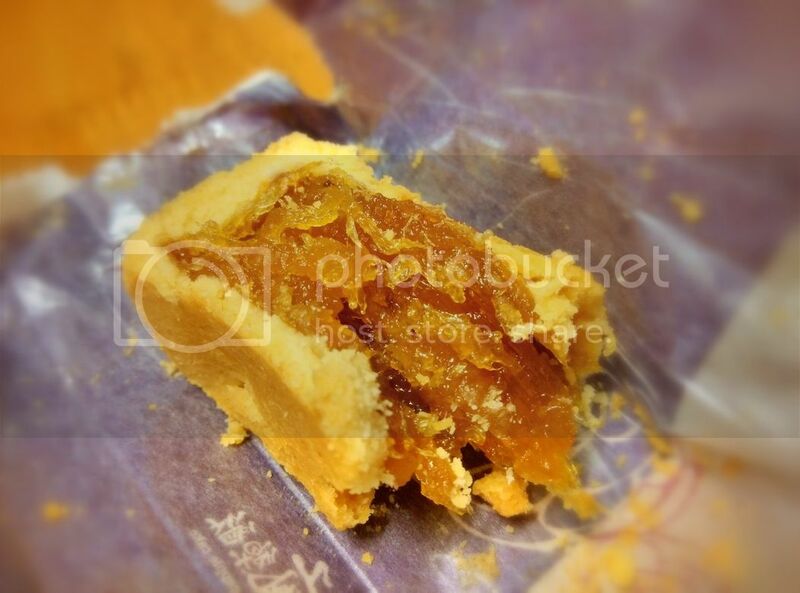 The pastry was quite milky and buttery although I would prefer it to be even more buttery and slightly thinner. The generous pineapple fillings were juicy, not too sweet and had a nice, chewy texture. Yummy! I gave some to my friends to try and all of them agreed it was delicious. However, one of my friends said that the size of the pineapple cake was too big - she prefers it to be smaller. Each box of 10 pineapple cakes are priced at RM45. Deliveries are available within Peninsular Malaysia and East Malaysia for an additional charge of RM10 and RM40 respectively. However, the good news is there's a promotion now for the Mid Autumn Festival. BEFORE 4 AUGUST 2014 : Buy 5 boxes and above and you will get 1 box FREE. So what are you waiting for? 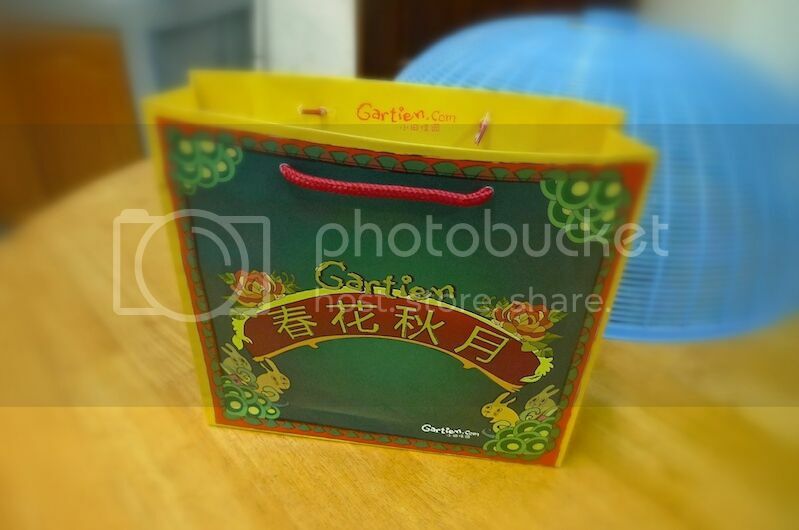 Instead of the usual moon cakes, let's go get some Gartien Pineapple Cakes for Mid Autumn!